Emma's super salad and quiche. Emma’s super salad and quiche. 14 Mar 2016Emma’s super salad and quiche. Monday has come round again and the last thing you need is carb heavy lunch monster that makes the afternoon snooze all too tempting. 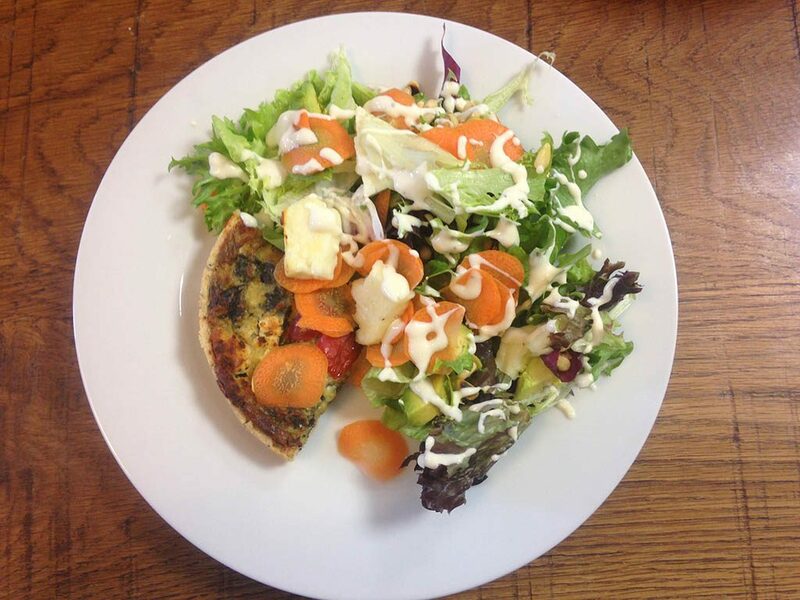 Instead, Accountant Emma whipped up a dish that is quickly becoming an office favourite, quiche and what can only be described as a super salad. 1, Baked halloumi, gives the salad a bit of bite and oomph, always being picked out at the end by foraging forks. 2, Avo, fondly termed nature’s butter by some this ever popular addition can’t be neglected. 3. Toasted pine nuts, crunchy, nutty (obviously) it’s all about the extra texture. That’s it for salad tips today, if your ever in need of culinary direction in the future don’t hesitate to get in touch. We’re also a dab hand at helping business Start, Grow or get ready for Sale, you can found out more under the planning section.